Mars were celebrating their 75th anniversary of production in the UK with a family fun day for all their staff at the stunning Dorney Court. 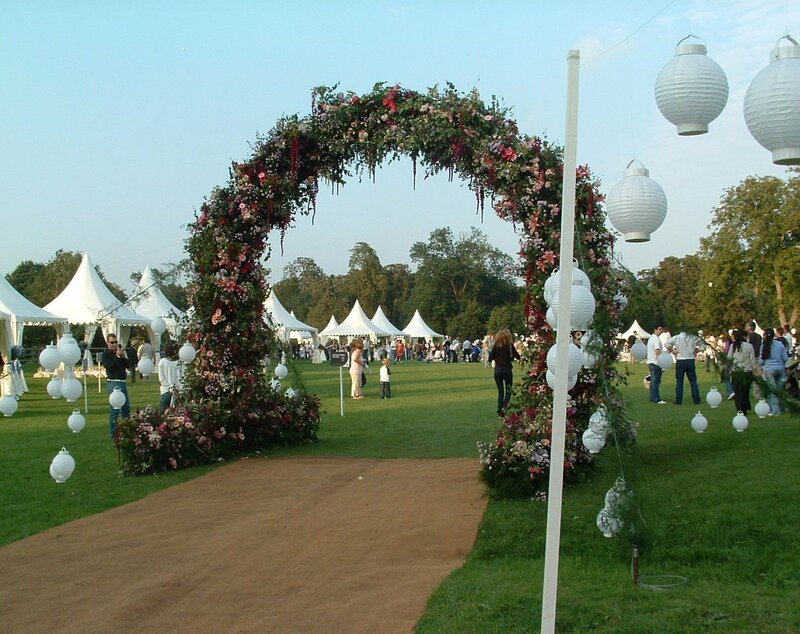 To create the family fun day feel, they wanted a garden party environment and kept the party as relaxed as possible. Danco marquee hire were able to provide over 40 chinese hat marquees ranging in size from 3x3m, 4x4m and 5x5m allowing staff and their families to shelter from the sun or take cover from the rain as required. The hats were arranged around the grounds of Dorney Court providing shelter in various areas including the VIP garden, the fair ground and the main arena (which was utilised for the picnic area by day and a concert during the evening as well as hosting many of the events activities). The versatility and flexibility of Chinese hats worked perfectly and their style really complemented the garden party feel.